It’s the holiday season, and someone close to you has lost a loved one. Our natural tendency, for many of us, is to emit some generic phrases of condolence, then avoid the issue altogether. Don’t do this. Take the effort to learn a few stereotypical things to avoid, then, even if you mess up and stick your foot in your mouth, take the time to show them that you care by your words, actions, or gifts. Stuck on those generic condolence phrases? Click here for 7 tips on what to say to someone who is grieving. A better way is to be direct, honest, and open. Tell them you’re not sure what to say, or that you’d like to help but are not sure how. Bring them a meal. Text them to say you’re thinking of them, praying for them, missing their loved one as well. Watch a movie together. Bring popcorn, or a favorite tea. Here are 22 tips on caring for someone who is grieving. 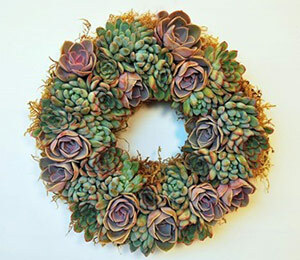 You’re probably reading this because you’re looking for ideas for holiday memorial gifts. Our advice is, don’t tiptoe around the mistletoe this Christmas season. Feel free to get your friend or family member a gift that shows you’re thinking of them, thinking of their departed loved one, and would like to honor their memory. Include a note that says as much. Of course you want to be wise about all this, and don’t go overboard. But it’s perfectly fine to express your own personal grief (whether it is for the deceased, or for the pain your friend/family member is experiencing) in a thoughtful, conscientious way. Most people tend to pull back from those who grieve, so your efforts will be appreciated. As the winter holidays approach, holiday memorial gift can be a comforting expression of your support and love. Here are eleven of our favorite holiday memorial gifts. Cedar wood bird feeders make a uniquely appropriate and appreciated holiday memorial gift. 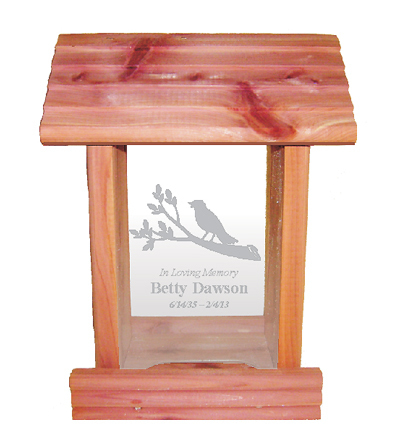 Made in the USA from real cedar wood, each feeder comes with a personalized laser engraved acrylic panel that includes the individual’s name and dates. The back panel can be customized as well. Shown above is the “Bird on a Branch” design, and we have many more designs available including military emblems, various hobbies/interests, and a completely customizable version. This is our very favorite memorial gift idea, not only because it is cool and customizable, but because it has an element of life to it. By feeding the birds, you draw nature close in, and in a small way you enter the cycle of life. It’s also comforting to simply watch birds, and it will remind many people of how their loved one enjoyed bird watching. 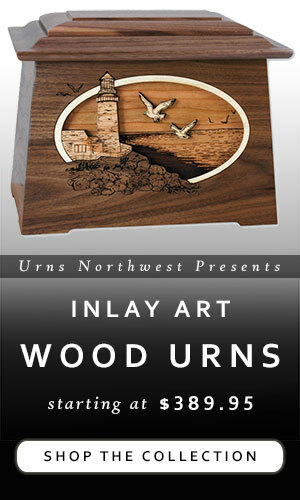 A gorgeous heirloom walnut wood keepsake box, made in the USA. This elegant memorial gift is perfect for the holidays, since you can put an additional gift such as a book or a gift card inside. 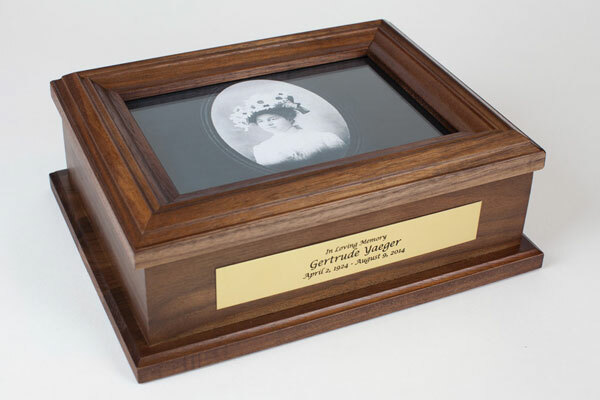 Includes custom engraved nameplate, felt lined interior, glass lid (behind which you can insert a photo), and of course stunning natural woodgrain with premium craftsmanship. This keepsake box can be used to hold letters and photos, jewelry and prayer beads, flash drives and collectible coins, or just about anything else. 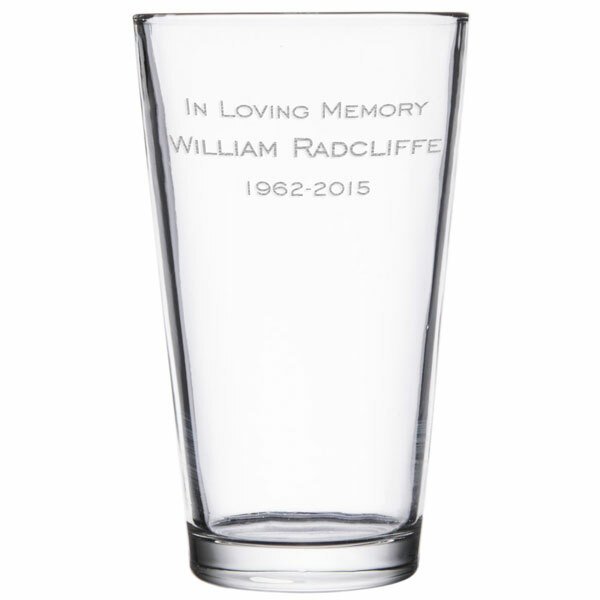 Raise a toast to a departed loved one with a custom engraved pint glass. Remember all the holiday celebrations together and get a glass for each member of your group, or honor the memory of a craft beer enthusiast with this special memorial pint glass. Completely customizable with any text. A simple but thoughtful memorial gift idea, paying homage to the departed one’s memory while providing a useful and heartwarming gift. Ideal for friends and family who enjoy camaraderie over a shared bottle of wine. Includes personalization on one side; optionally, both sides are engraveable. Works perfectly as a stocking stuffer, or when accompanying a holiday wine gift or wine club membership. 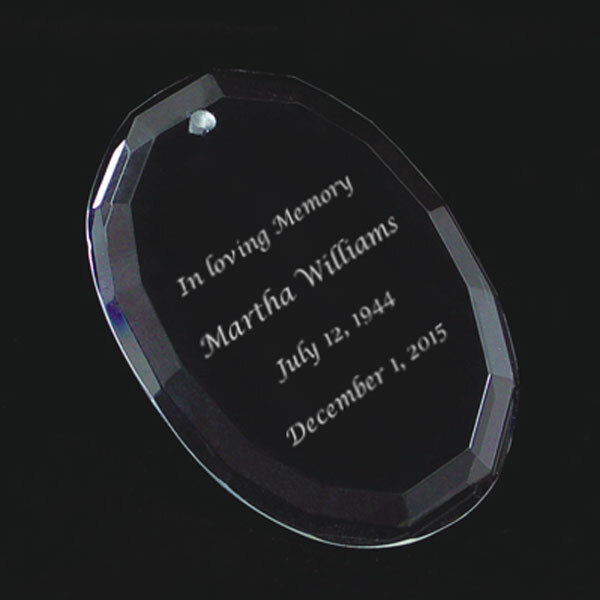 A personalized memorial Christmas tree ornament is a well-balanced gift idea. It’s custom, yet affordable; unique, yet not weirdly so; it draws attention to the death of a loved one, yet won’t stand out among a tree filled with decorations. Several shapes and styles are available, includes complete customization, and you’ll save when buying multiples for giving one to each member of the family. 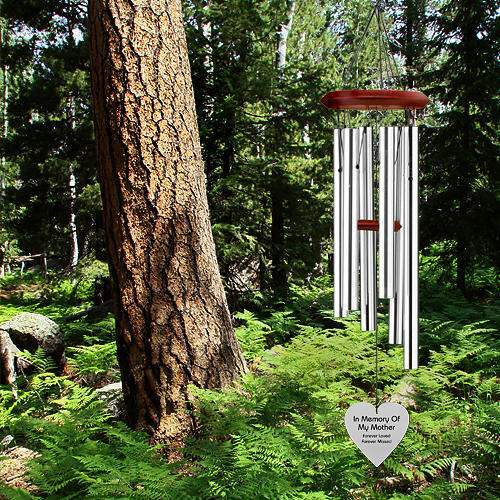 A beautiful sonnet emerges from the ash wood and pentatonic-tuned silver tubes, creating a heartwarming melody in memory of a loved one each time the breeze passes by. The wind sail is available in several shapes (heart, liberty bell, butterfly, etc) and includes custom laser engraving of a memorial message. Recently, a close friend’s father passed away. I searched and searched for a sentimental, quality handmade gift to give her with no luck. That is when I decided to design a few. 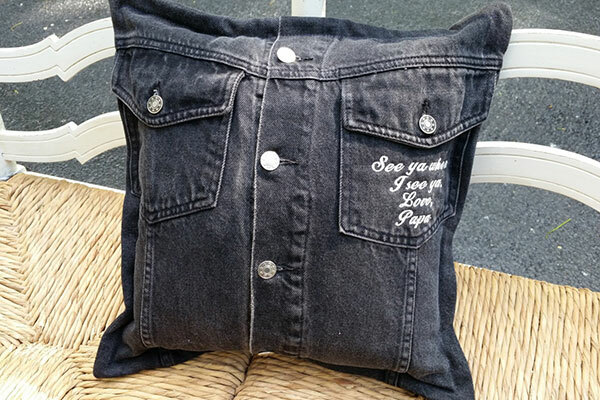 This 14×14 pillow is a wonderful way to keep your loved one’s memory alive. It is fabricated from a shirt that your special someone used to wear. It can be adorned with a heart embroidered with the verse: “This is a shirt that I used to wear. Whenever you hold it, know that I am there.” You can have it made with or without the embroidered verse, depending on your preference. If you have a personal message of comfort to give to a grieving family member, or if the decedent had a beautiful signature or a treasured love note, turn it into a permanent keepsake with this custom made memorial necklace. 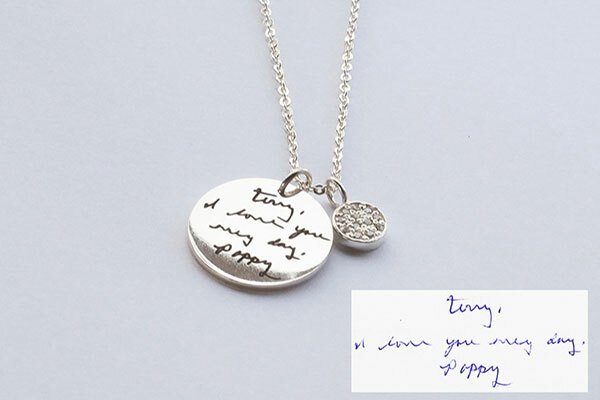 A few short handwritten words are etched onto a sterling silver necklace pendant that will warm the heart. 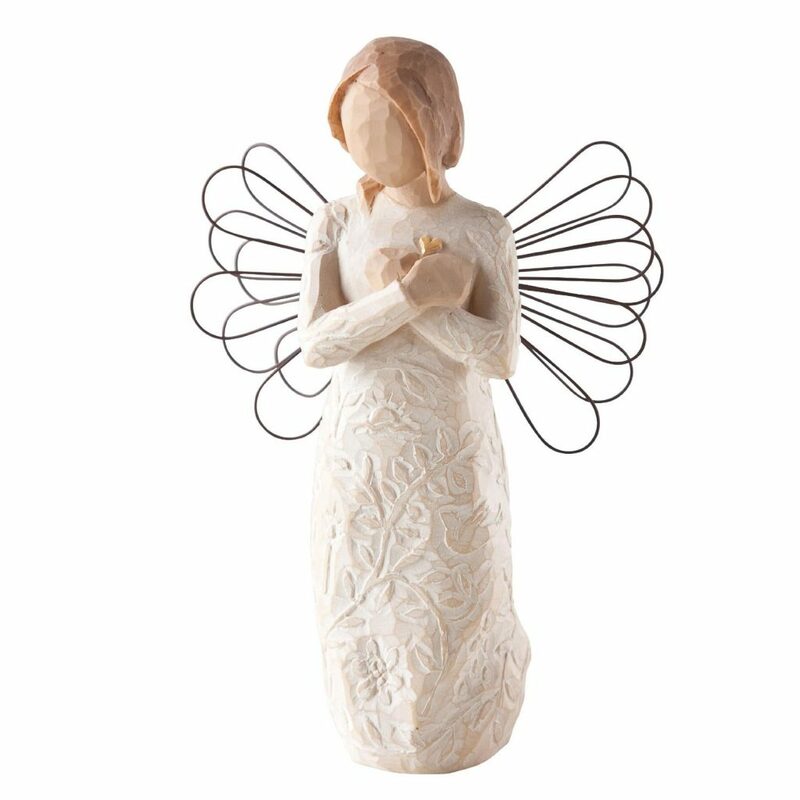 The Willow Tree Figurine Collection are, according to their website, “intimate line of figurative sculptures that speak in quiet ways to heal, comfort, protect and inspire.” Popular, elegant, and affordable, these figurines convey peace during troubled times. A lovely carved figurine that represents a loved one will be a treasured memorial gift for a friend or family member. 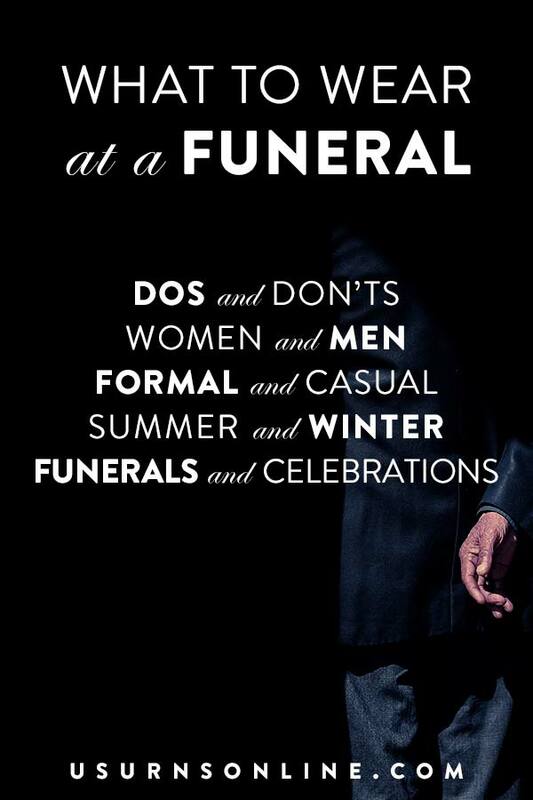 Funerals are very expensive. 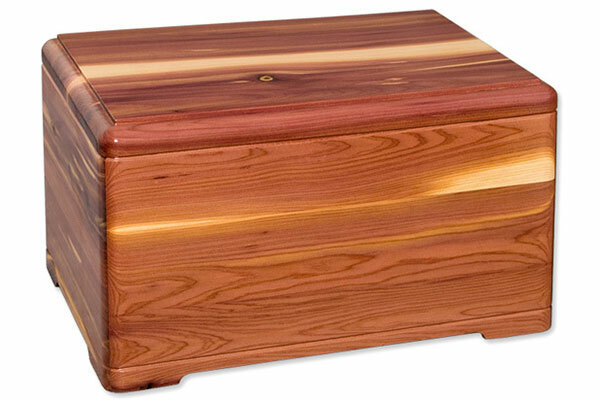 One simple way you can contribute is by using the holiday season as an excuse to purchase the cremation urn for the bereaved family. Find out what type of memorial they would prefer, ask them about personalization (how they’d like an inscription to read), and tell them you’d like to order it for them or pay for it as a Christmas gift. Unless you know 100% that they want a specific urn but can’t afford it (or are waiting until “after the holidays” to order), it’s probably not a good idea to get them an urn as a surprise gift. Dealing with cremation urns can be an emotional subject, so it’s best to approach this idea openly and with the family’s best interests in mind, even if that means changing up your own plans. If giving the ‘main’ urn as a Christmas gift doesn’t work out, you can go a slightly different route with one of these tealight keepsake urns. 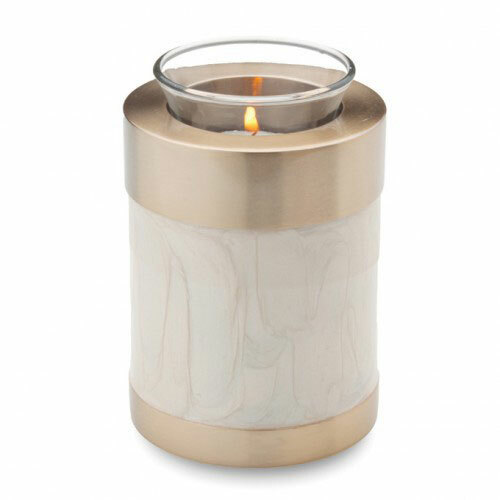 As a working tealight, these beautiful memorials don’t have to be used as a cremation urn at all but can shine out in memory of the loved one as a home decor piece. But this gives the family the option of placing a small amount (a little over a cup) of remains into the tealight, and is especially useful when small portions of the ashes are shared among different individuals. 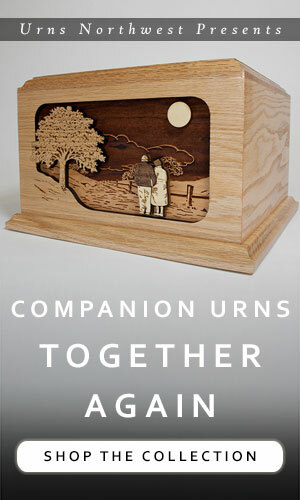 Several designs are available here, and more (non-tealight) keepsake urns that hold a tiny amount of remains are available here. What are more ideas for holiday memorial gifts? Share in the comments below!